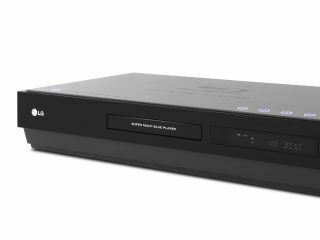 When LG originally launched its BH100 Super Multi Blue player, it had the potential to make the HD DVD vs Blu-ray battle irrelevant. The BH100 was the world's first combo HD player. But while it was capable of playing back both high-def formats, it wasn't the AV atom bomb that many hoped for. LG's follow-up, the BH200, hopes to change all that. Was LG's BH100 a mistake? While the original BH100 looked like the answer to the "Blu-ray or HD DVD?" question, on closer inspection, it wasn't a proper dual format player. Crucially, it didn't support playback of HDi-authored interactive features. As a result, the HD DVD camp refused to let LG use the HD DVD badge on it. It's tempting to say that the BH100 was a mistake, but LG remains proud of its first combo player. "It's objective was to demonstrate that LG had pioneered a way to play back both formats," says Daniel Aziz, marketing manager at LG UK. "This objective was met." "The ability to not playback HDi was not ideal and as a result the BH200 now features this. "The 'HD format war' is not inspiring consumers with confidence. The market is beginning to pickup with regards to sales. But both Blu-ray and HD DVD can argue that their sales are performing better than the other. LG's dual format high definition technology really does cut through the issue and give consumers confidence in high definition players." Will there be an HD winner? Aziz believes that there won't be an outright winner between HD DVD and Blu-ray - they will share an uneasy co-existence. He acknowledges that, while the HD battle has been good news for headline-writers, consumers have been afraid to take sides. "Consumers are interested in HD disc playback," suggests Aziz. "However, confusion due to the 'format wars' has affected take-up. Essentially, consumers do not know which format to back. Additionally, a key factor influencing consumer take-up boils down to pricing and content availability. "We have now reached the tipping point and anticipate that interest will steadily rise." The forthcoming BH200 looks like supporting both HD DVD and Blu-ray (Profile 1.1) fully. But one of the factors that could limit its appeal will be price. The BH100 debuted at £1,000 - although you can now pick it up for around £850 online. If the BH200 appears at this price will it tempt consumers? Especially if you consider that Toshiba's HD-XE1 is £450, the HD-E1 can be bought for as little as £170, and Sony's PS3 is £299. "The price [of the BH100] is not indicative of what will appear in the market," says Aziz. "What [the price] will be with regards to the BH200 is difficult to say, as it will need to be in perspective of the market and where standalone Blu-ray and HD DVD players sit."